Posted by Argos. March 7th 2015. Adopting an animal who is in desperate need of a forever home is sure to be one of the best decisions you’ll ever make for you or your family. As anyone who has been through the process will know, welcoming a dog or cat into your life has lots of benefits. The main benefit applies to both the adopter and the pet, the benefit of companionship. Animals are extremely vulnerable to the woes of loneliness. Depending on their species, breed and unique personality they may be deeply affected by the experience of abandonment or time spent in the confines of an adoption centre – no matter how well looked after they are. Every animal needs and deserves a kind and loving home. In a heart-warming article published by The Daily Mail, the remarkable difference that pet adoption can make to an animal’s life was really brought home. In a series of photos, originally uploaded by pet owners to a popular online forum site, we see the transformation of various pooches and moggies after they have settled in to new adoptive homes. The before and after shots show a once scared, sad or isolated animal enjoying the happiness that can only be provided by a safe and loving environment – and the contrast is a touching and striking reminder of the power of such a change. Delving deeper into the world of pet adoption, there are other reasons to seriously consider rescuing an animal, especially in place of buying from a breeder or pet shop. It’s a very sad but undeniable fact that every year thousands of animals are put down when the adoption centres are unable to provide them with a new owner. They simply cannot keep up with the demands, as more and more animals are brought in, and the funds and space needed to house them all run thin. In a 2010 BBC One Panorama documentary it was discovered that the famed Battersea Dogs and Cats Home was forced to put to sleep a third of the animals it took in during 2009. By choosing to adopt, you are doing your part to lessen this saddening reality. That’s right – it’s not just your creatures that feel better and healthier when they step through your front door. 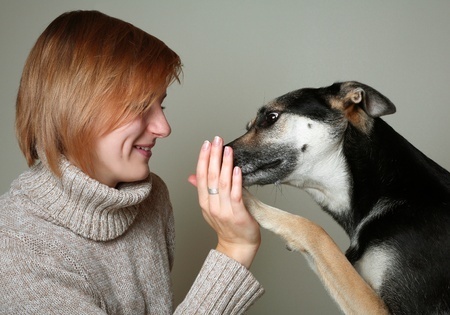 There have been numerous studies into the health benefits that pet ownership brings us humans. Pet lovers are less likely to develop depression, and are shown to have reduced levels of stress. Having an animal around also encourages exercise and playfulness that can instantly calm and relax you. There’s even a suggestion that caring for pets can help you live longer as there are less cases of health conditions like high cholesterol amongst animal owners. There really are so many good reasons to look into pet adoption!